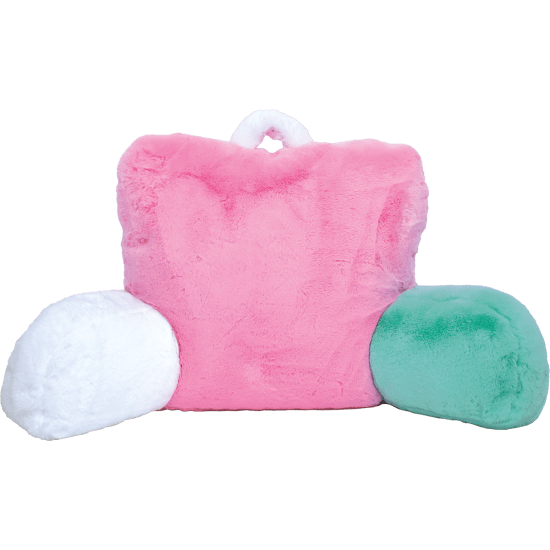 Add some fun pops of color to any kids space with our color block furry lounge pillow. 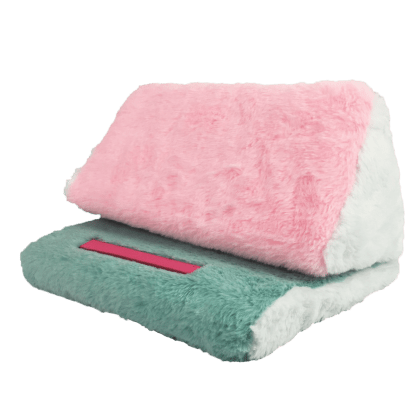 This pink, white, and seafoam green dream is made of soft, furry material that anyone would want to cozy up with. With a loop handle at the top, it can be moved from space to space with ease.